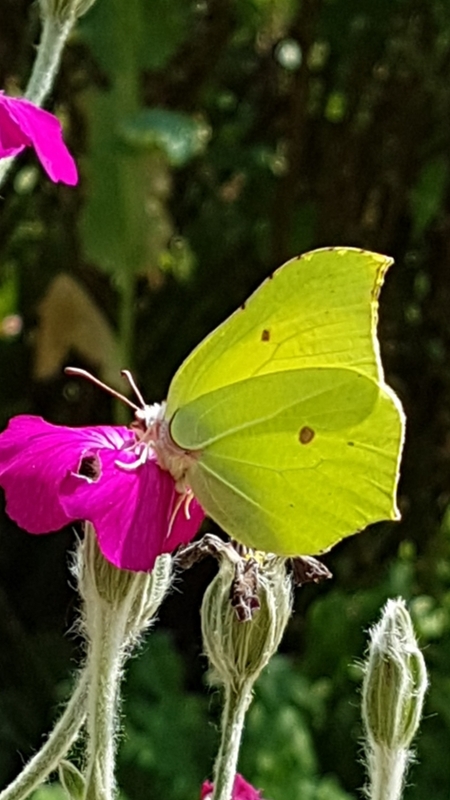 Saw this 'Common' Brimstone butterfly in the garden of Howard's House hotel. Excellent stay in Wiltshire at the Compasses Inn, Lower Chicksgrove, with excursions to HH and the Beckford Arms. Somewhat stunned by the hot weather, although there was welcome rain on our Wednesday walk. We took an umbrella but in the event just enjoyed strolling through the light showers. No rain at home. Lots of garden and allotment watering. But first French beans and Italian courgettes have been picked.